See how Grant has and is still learning to use his food plot observations to make future management decisions. 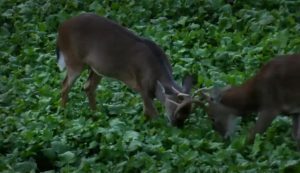 Managing both food and deer numbers is key! See effective tips on how to trap those pesky groundhogs. 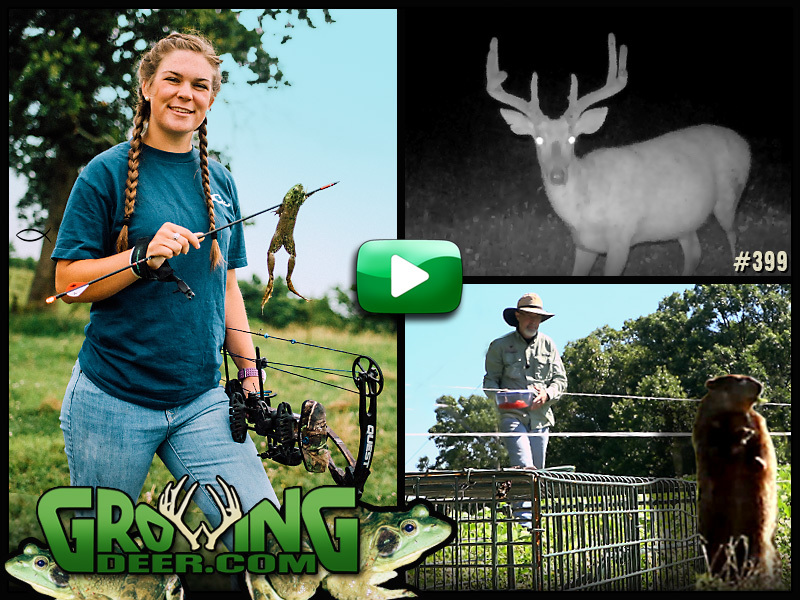 Plus, Grant shares how frog hunting is great practice for the upcoming deer season! We can’t wait to see hard antlers this deer season! Here’s a tangled up mess of antlers to enjoy! Everyone wants to hunt flat, row crop states like Kansas or Iowa. 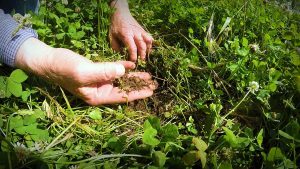 However, even if you have steep terrain in non row crop areas you can utilize these techniques to help produce quality whitetails! 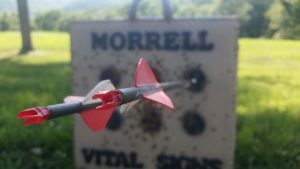 Shooting dots is a great way to get your bow dialed in before shooting at an outline or 3D target of a deer!